Joel Weisman and guests discuss the presidential election and other news of the week. Chicago voters deliver Illinois for Hillary Clinton. Anti-Trump demonstrators gather at Trump Tower in Chicago. Media and pollsters face scrutiny after the surprising outcome. Illinois Republicans break House Speaker Michael Madigan’s supermajority in the House, but lose the comptroller’s race. Former U.S. Rep. Aaron Schock is indicted on 24 counts by a federal grand jury. Tensions rise in the South Side community of Mount Greenwood after a black man is fatally shot by an off-duty Chicago police officer. The Cook County Board approves a soda tax. And in sports, the Blackhawks sizzle. The conversation continues in our exclusive web-extra video. 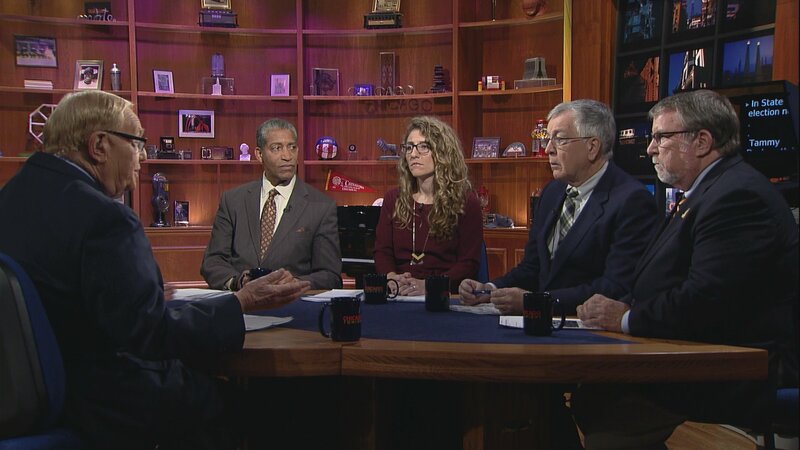 This week, Joel Weisman and guests discuss the outcome of Illinois races.